Deleting apps from iOS 12 is not very different from the process you already know in iOS 11.4, but there are some minor differences in the process. We’ve compiled 3 basic ways by which you can successfully delete your iOS 12 apps, and the tricks are discussed in the following parts of this post. Moreover, deleting apps from iPhone doesn’t erase the fragments of such apps from your iOS device or from the iCloud library. 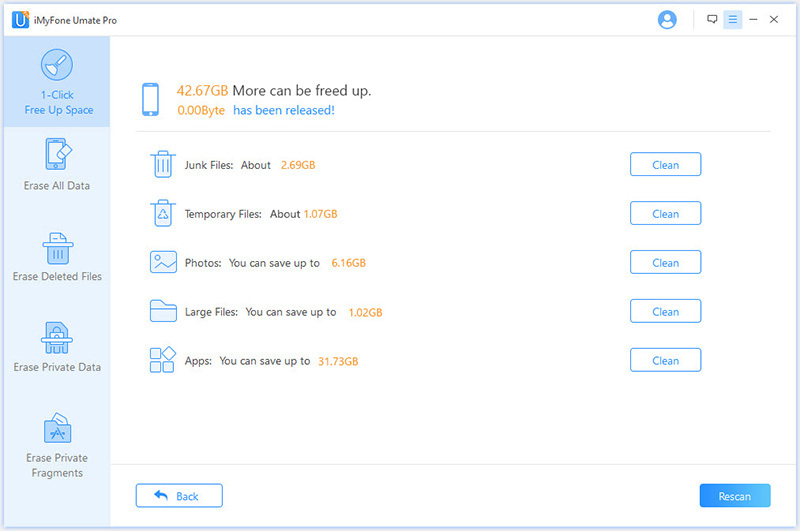 But there is a tool that can help you remove app fragments from your iOS 12 iPhone and iPad to prevent privacy leakage and safeguard your important files. All these information will be yours if you read this article to the last line. As methods come with many limitations and deficiencies. One is that iTunes 12.7 can’t help you to delete iOS 12 apps, and the second is that the other methods will not totally remove app fragments from your iPhone. Therefore, you need an app that can delete iOS 12 apps complete without leaving any fragment behind. 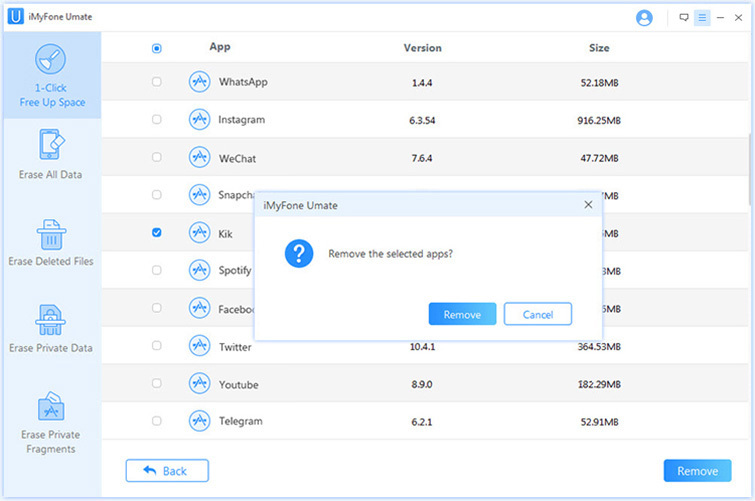 iMyFone Umate Pro for Win or for Mac is the right app that can completely delete iOS 12 apps without restore. 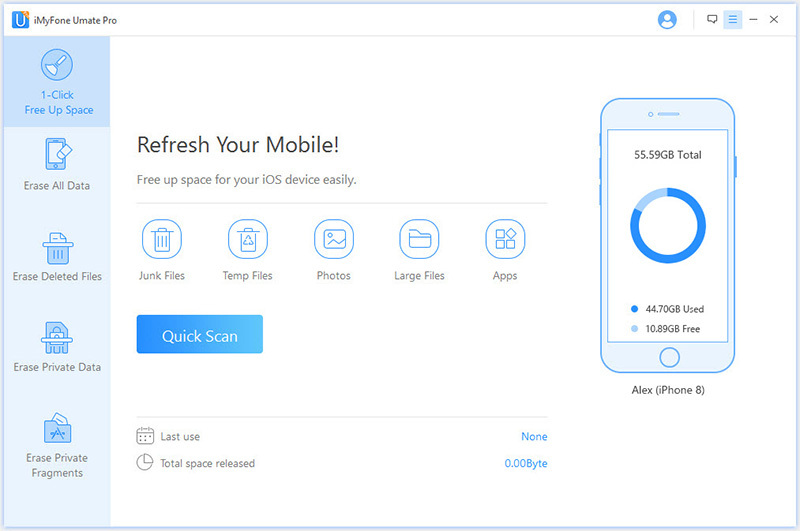 This ultimate iPhone/iPad data eraser can completely erase iPhone apps to protect your privacy. Umate can 100% wipe all huge iOS 12 apps, by distinguishing the large, small and redundant apps from each other. Umate Pro can permanently erase iOS 12 apps from your iPad or iPhone. It erases iOS files with 0% chance of data recovery. Umate Pro can help you to secure your private data when gifting, selling or refurbishing your iPhone/iPad. Step 1. Connect your iPhone/iPad to the computer where you downloaded and installed Umate Pro. Connect your iPhone to your PC using a cable. Step 2. Choose “1-Click Free Up Space” as your mode, and click “Scan” afterward. Step 3. Click "Clean" to preview through the apps listed to select the ones you’ll like to delete. Step 4. Click “Remove” button to start erasing the apps permanently. Note: Before removing an app, you can use "Erase Private Fragments" mode to delete your entire personal information stored in your app caches that other methods can’t find. It will also take care of all residual information and data permanently and completely to render them unrecoverable. Download and install Umate Pro now to enjoy lasting privacy and data security. If you’re using a 3D model iPhones such as iPhone X/iPhone 8/8 Plus/iPhone 7/7 Plus/iPhone 6S/6S Plus, iPhone SE, or for 3D Touch iPad Pro, iPad Minis and more, just follow these steps to erase your iOS 12 apps. Step 1. Unlock your iPhone using a passcode, Face ID or Touch ID. You are now on the Home screen page. Step 2. Tap and hold on the app you want to delete until all your iOS 12 apps will start wobbling. Step 3. Click “X” to delete the app. iOS will notify you that deleting this app will also delete its data. Step 4. Select “Delete” to remove the app and its data from your iOS 12 iPhone/iPad. Deleting iOS 12 apps from the Settings app is our second method of removing iOS 12 apps. This method is preferable and it serves as an alternate option for removing apps from iOS devices especially when you’re installing the new update, freeing up space or trying to make a frozen iPhone come back to life. Step 1. From your iPhone Home screen, go to the Settings App and launch it. Step 2. Select the following “General > iPhone Storage > Select the App > scroll down and click Delete app”. Step 3. Swipe your iPhone screen if you're using iPhone X, or click your Home button for other versions of iPhone to leave the page. There is only one way you can delete apps from iPhone or iPad using iTunes, and that way is by erasing the app from iTunes media library. However, if you’ve upgraded your iTunes to iTunes 12.7, then you may not be able to delete iOS 12 apps from iTunes because Apple removed the iOS App Store and iOS App Management from iTunes 12.7. However, if you’re fortunate and have not updated to iTunes 12.7, then you can follow these tips to delete iOS 12 apps from your iPhone or iPad. Step 1. Go to iTunes Update section and you’ll see a list of apps. Step 2. Right Click on the app icon and choose “Delete from Library” to remove the app from your iPhone/iPad. The next time you sync your iPhone, you’ll not see the app on your device.